Demographic changes in fertility, mortality, and migration, have had profound effects on the age-structure of many societies worldwide. These population trends in global aging require improved data and analyses to assist societies with social and economic shifts in social welfare and health care services, labor markets and retirement, technology, housing, transportation, and intergenerational relationships. With an increasingly larger share in the population of aging adults in virtually every country throughout the world, it is imperative that governments design innovative policies specifically aimed at public services to benefit aging individuals and societies. 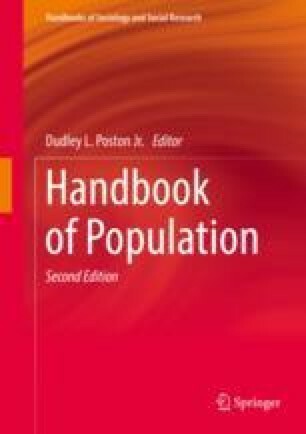 In this chapter, we provide a thorough overview of important issues related to global trends in population aging and conclude with future research directions in the demography of aging. This research was supported by the Nebraska Tobacco Settlement Biomedical Research Development Funds through the University of Nebraska-Lincoln, and the National Institutes of Health/National Institute of Aging Grant #1R36AG057949-01.